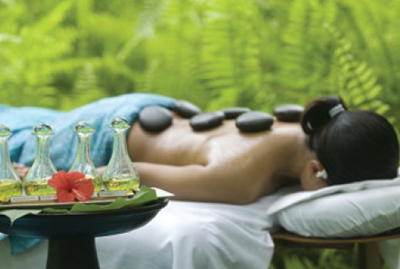 The Maldives is made up of 1,190 coral islands that are located southwest of Sri Lanka, on the equator. 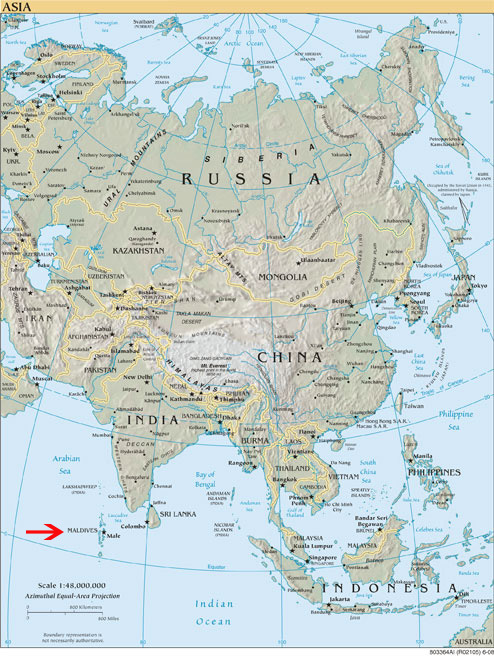 The coral islands form an archipelago of 26 major atolls. Only 202 of the islands are inhabited, and 87 of these are exclusive island resorts. 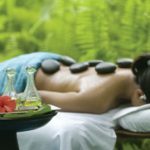 If sun, sand, and sea are the three requirements for a perfect tropical vacation, then the Maldives is extraordinarily perfect….white sand beaches, lagoons in seemingly infinite shades of blue and turquoise, pristine coral gardens, and dense tropical foliage….does it get any more perfect than this? 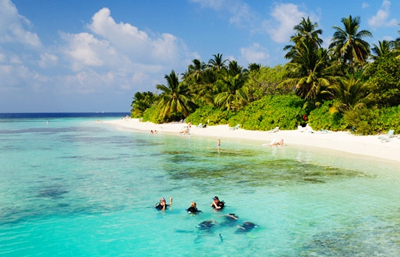 The Maldives boasts 200 different species of coral and an abundance of reef inhabitants. Enjoy reef, drift, and wreck dives in water that ranges from 75-81 degrees with a visibility of 50-130 ft. Expect hammerheads, grey reef sharks, white tips, eagle rays, mantas, turtles, frogfish, triggerfish, surgeonfish, jacks, snapper, napolean wrasse, barracudas, and more! 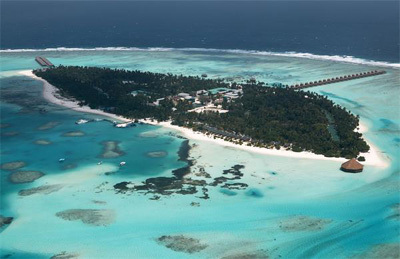 The Maldives has been gaining much international attention for the fragile state of its environment. The impending rise in sea level due to climate change calls for some careful environmental management measures. In fact, the entire capital island is already enclosed with sea walls. These “Pearls of the Indian Ocean” are precious indeed, and all possible actions should be taken to preserve them. 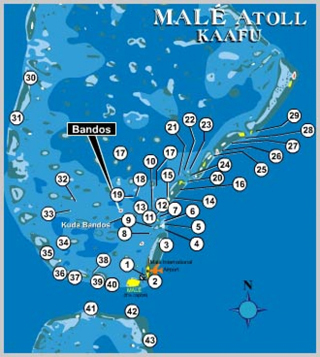 Located at Bandos Island Resort, Dive Bandos is one of the longest established dive centers in the Maldives. The spacious dive center features air-conditioned classrooms, a library, spacious storage rooms, hot water showers and an in-house service shop. 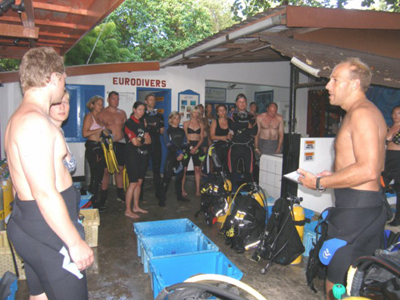 Rental equipment includes gear by Mares, Scubapro, Aqua Lung, Dive Rite, Suunto and more. Dive Bandos operates a fleet of 4 spacious fiberglass dhonis, all equipped with life vests, first aid equipment, DAN oxygen kits and radios that enable communication with the dive center and the island. 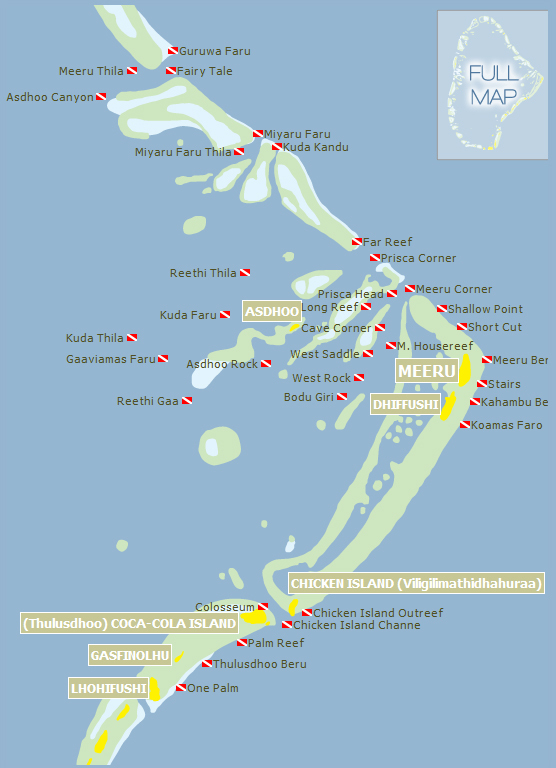 Thanks to its central location in the southern part of North Male’ Atoll, Dive Bandos can offer a variety of over 40 different dive sites including such highlights as Banana Reef, Paradise Rock, Barracuda Giri, Victory Wreck, Rainbow Giri, Lion’s Head and Old Shark Point, as well as seasonal manta dives like Lankan Reef and Furana North from September to December or Boduhithi Thila and Rasfaree from January to April. 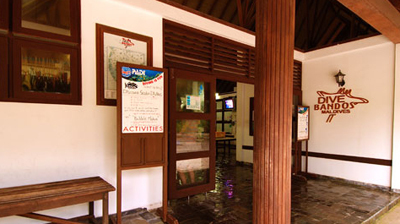 Dive Bandos is a member of the PADI International Resort Association, and thus offers a wide range of PADI courses and certifications. The professional staff will ensure that you experience the lush underwater gardens, colorful fishes and stunning seascapes in total safety. It’s still comforting to know though, that in case of emergency, a medical clinic with decompression chamber is located on the island. 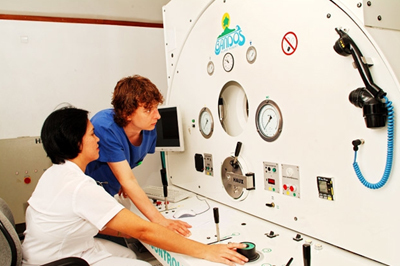 Not only that, but Bandos Medical has two Medical Doctors, a General Practitioner, a Dive Medical Officer and a nurse on location 24 hours a day. Euro Divers at Velidhu Island Resort is a PADI dive operation that is poised to help you enjoy the best of what the Maldivian waters have to offer. 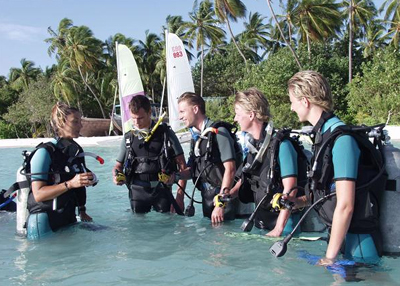 A team of fully qualified professional PADI Instructors is at your disposal, and a full range of courses & certifications is offered. A normal dive day is comprised of a morning dive at 8:45 am and an afternoon dive at 2:00 pm. Early morning two-tank trips are offered twice a week. Night dives, sunset two-tank trips and full day two-tank trips are offered once a week. Nitrox is available. 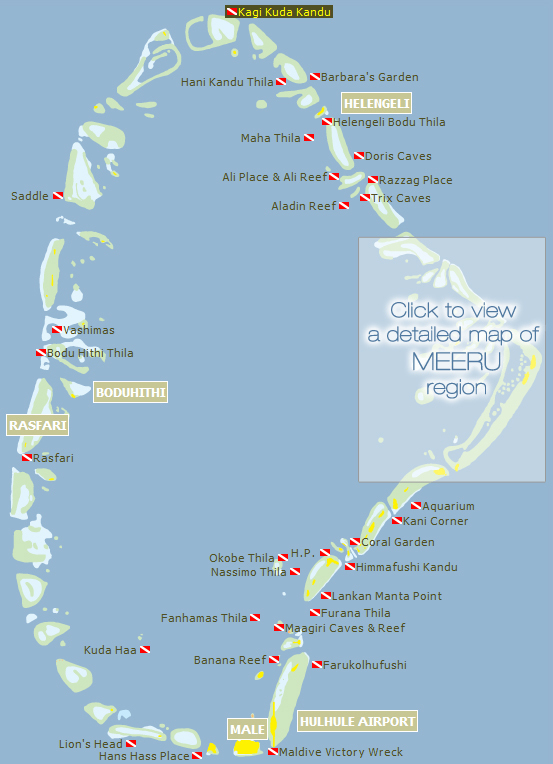 The Ocean-Pro Dive Team at Meeru Island Resort invites all guests to enjoy the pristine dive sites directly around and to the north of Meeru. 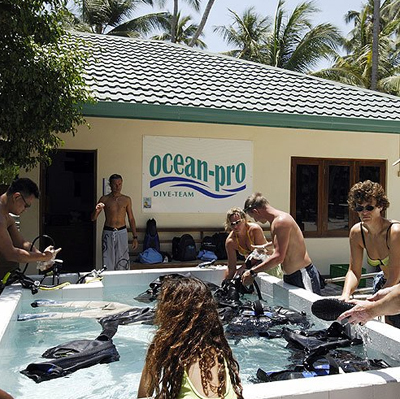 The spacious dive center, located close to the jetty, features a huge lockable wet room for your rental or personal equipment and three air-conditioned classrooms. All rental equipment, by Aqualung, Seaquest, Uwatec & more, is serviced and replaced regularly. Draeger “Dolphin” semi closed circuit rebreathers, underwater scooters & Nitrox are also available. 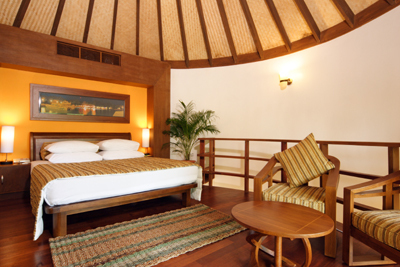 Ocean-pro’s three fiberglass dhonis combine the traditional Maldivian style with modern material and comfort. 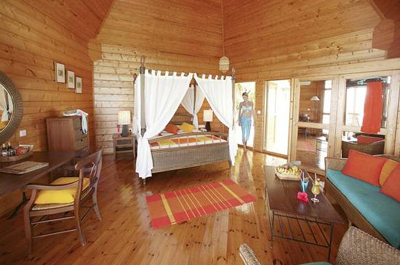 Features include a large sundeck, toilet & freshwater shower. A typical dive day consists of single tank morning and afternoon dives, although early morning two-tank dive trips, full day two-tank trips to some of the farther sites and night dives are also offered. Take advantage of the full range of PADI courses and certifications, as well as unique specialty courses like Rebreather Diver, UW Photographer and UW Propulsion Diver. 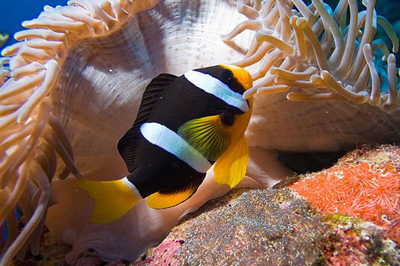 For non-divers, guided snorkeling excursions are offered 5 times a week. Excellent hard & soft corals plus white-tip reef sharks, eagle rays, devil rays, snapper, fusiliers, Hawksbill turtles, Napoleon Wrasses, lobsters, Honeycomb morays and much, much more. 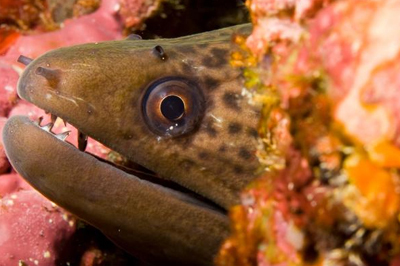 The wide range of coral and fish life explains why this dive site is so popular. This banana-shaped reef is carpeted in soft corals and features a plethora of spectacular rocks, caves, deep gutters and precipitous overhangs. 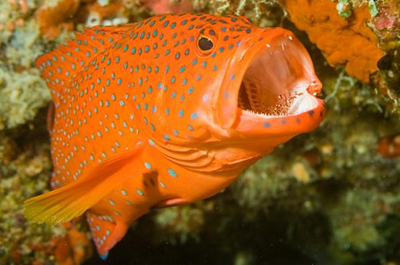 You’ll see white-tip reef sharks, barracudas, trevally, black snapper, huge schools of bannerfish, giant morays, several species of grouper, spotted and scribbled pufferfish, squirrelfish, soldierfish and hundreds of species of wrasse. The south end of this steep wall is blanketed in beautiful soft corals. 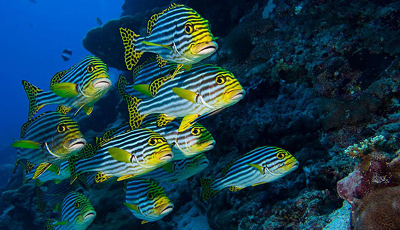 Look for gigantic schools of basslets, blue-striped snappers & butterflyfish, groupers, yellow margin morays, stingrays and white-tip reef sharks. 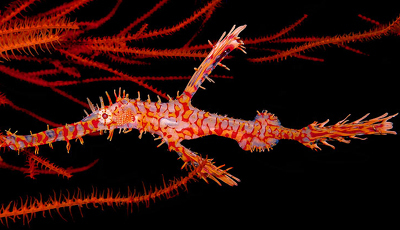 Multi-colored soft corals abound on this excellent drift dive. 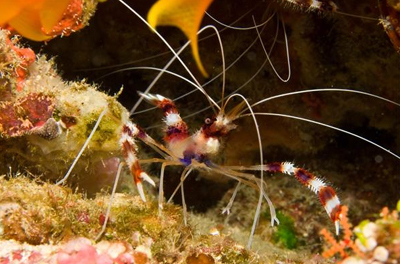 Among all the color you may also spot eagle rays, painted spiny lobsters, anemonies, clownfish and morays. Parts of the reef drop steeply to around 75 ft. Between May and December, large coral blocks at about 30 ft become cleaning stations. Mantas circle the blocks allowing cleaner wrasse to nibble tiny parasites off of them. 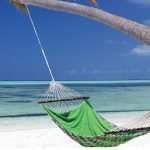 If you can tear your eyes away from the action, you may also spot morays, flatworms, nudibranchs, white-tip reef sharks, tuna, mackerel, trevally, whip-tailed rays, eagle rays and Hawksbill turtles. Search the sand for pipefish, razor wrasse, peacock flounder, garden eels and shrimp gobies. Threadfin butterflyfish and damselfish prefer to hang out around the coral blocks. There is also a small wreck at about 100 ft.
A coral plateau at about 30 ft houses morays and anemones, and attracts large schools of humpback snapper, blue-striped snapper, and oriental sweetlips. 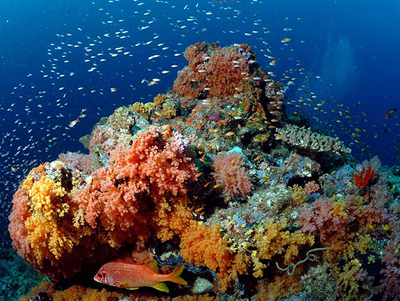 Search the coral blocks on the plateau for scorpionfish, lionfish and octopus. The plateau drops to a depth of around 100 ft. This is where white-tip reef sharks and stingrays like to hide. Two huge caverns covered with soft corals hide nudibranchs, flatworms, blennies, gobies, morays & banded boxer shrimp. Schools of fusiliers are all around. 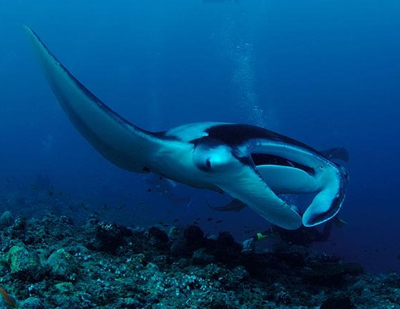 Between August and November a reef flat just above Fairy Tale serves as a manta cleaning station. This popular site features a sandy slope and a reef flat. You’ll see pink-faced checkerboard wrasse, yellow-saddled goatfish, peacock flounder, garden eels, & white-tip reef sharks. A small cargo freighter sits on a sandy plateau at about 75 ft. As you round the bend to the north side, coral and rock formations provide an interesting backdrop for angelfish, colorful basslets, midnight snapper, butterflyfish and harlequin & oriental sweetlips. 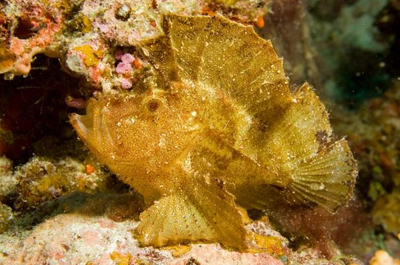 Leaffish and lionfish can be spotted in the cracks & crevices. This spot, not far from the Meeru jetty, features an extended reef with plenty of nooks & crannies to explore. 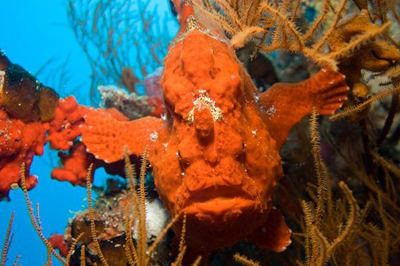 You’ll see schools of snapper, glassfish, turtles, leaffish, frogfish, scorpionfish, lionfish, stonefish, fusiliers, moorish idols and bannerfish. The base of the wall is at about 75 feet. White-tips and stingrays congregate here on the sandy bottom. 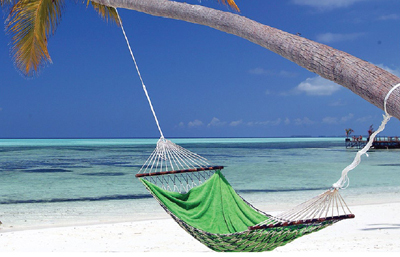 The island of Bandos is known for its clear turquoise waters, lush green vegetation, and pearly white beaches. 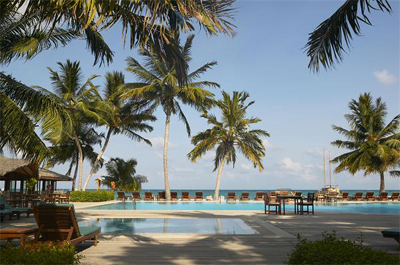 This heaven on earth is the home of Bandos Island Resort & Spa, a truly serene and relaxing getaway. 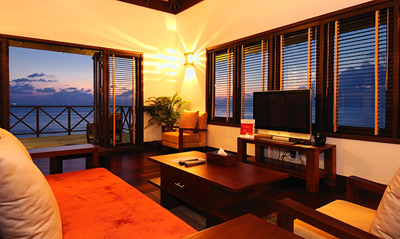 Offering 225 guest rooms, the resort is just a 15 minute speedboat ride from the Malé International Airport. Levels of accommodation include Standard Rooms, Deluxe Rooms, Garden Villas, Jacuzzi Beach Villas (right), and Water Villas. All are comfortably luxurious and elegantly appointed. 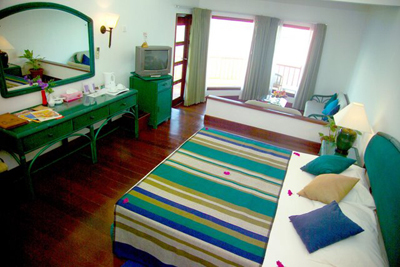 Standard Rooms enjoy beachfront views and feature a/c, a double or two twin beds, fully equipped bathroom, mini bar, IDD telephone, satellite TV, tea & coffee making facilities, and an electronic safe. 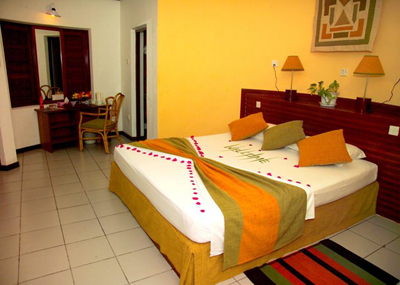 Deluxe Rooms also enjoy beachfront views and feature a/c, king bed, separate living room, fully equipped bathroom, mini bar, IDD telephone, satellite TV, tea & coffee making facilities, and an electronic safe. Garden Villas enjoy serene garden & pool views, and feature a/c, king bed, fully equipped bathroom, mini bar, IDD telephone, satellite TV, tea & coffee making facilities, an electronic safe, and a private patio. 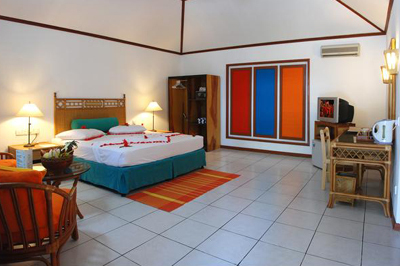 The Jacuzzi Beach Villas are situated on the sand with stunning views of the lagoon. The duplex-style layout features a bedroom and balcony on the 2nd floor, a living room and Jacuzzi on the 1st floor, a/c, king bed, open air bathroom with Jacuzzi, shower, and bidet, mini bar, IDD telephone, satellite TV, tea & coffee making facilities, and an electronic safe. The Water Villas enjoy breathtaking views of the ocean, lagoon, beach, and sunset, and feature a/c, king bed, spacious private sun deck with freshwater shower, bathroom with Jacuzzi, shower, and bidet, satellite plasma TV, mini bar, IDD telephone, tea & coffee making facilities, and an electronic safe. 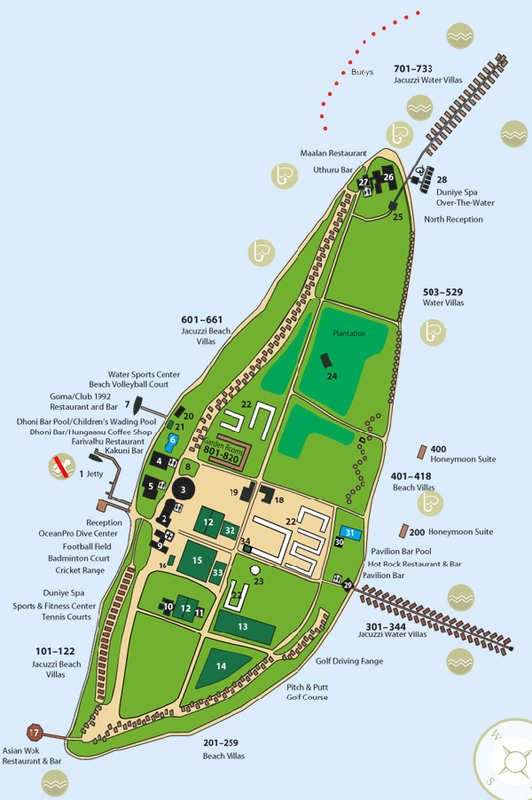 Meeru Island Resort is the only resort on the island of Meerufenfushi, the eastern-most resort island in the North Malé Atoll. 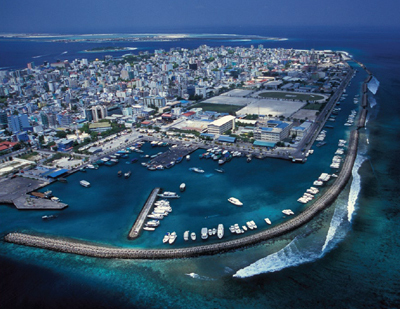 The island is a scenic 55-minute speedboat ride from Malé International Airport and is surrounded by white sand and turquoise water. 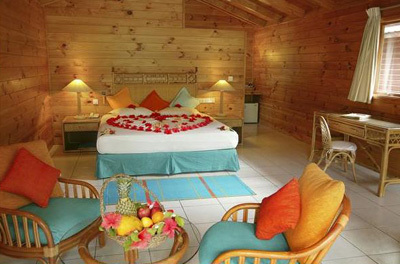 The resort offers 286 rooms. 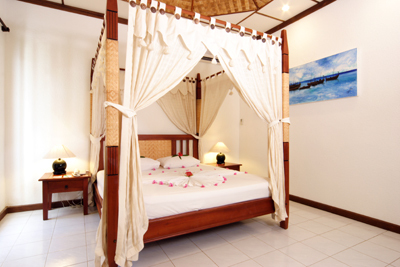 Levels of accommodation include 20 Garden Rooms, 77 Beach Villas, 83 Jacuzzi Beach Villas, 27 Water Villas, 77 Jacuzzi Water Villas (right), and 2 Honeymoon Suites. All rooms feature tropical decor, a king or two twin beds, tile or wood floors, private patio with furniture, air-conditioning, overhead ceiling fan, sitting area, stocked Mini Bar with refrigerator, tea/coffee machine, IDD telephone, color cable TV, internet access, personal safe, bathroom with hot water, shower, bath accessories, hair dryer, and nightly turndown service. 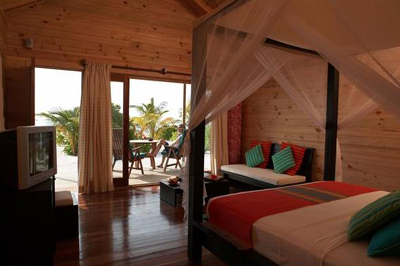 The 20 Garden Rooms (left) also offer wooden sun decks with lovely views of the tropical gardens. The 77 Beach Villas (right) are located right on the beach. 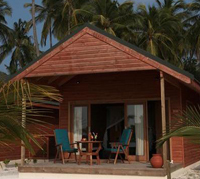 These spacious wooden bungalows offer stunning lagoon views and semi open-air bathrooms. 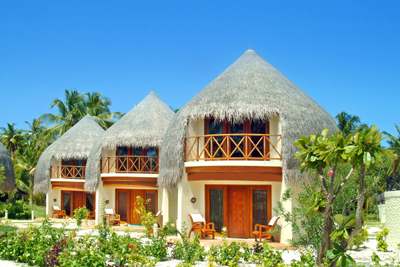 The 83 Jacuzzi Beach Villas (left) are beach villas with private, walled-in outdoor patios featuring a Jacuzzi for two, chaise lounges, and a small tropical garden. 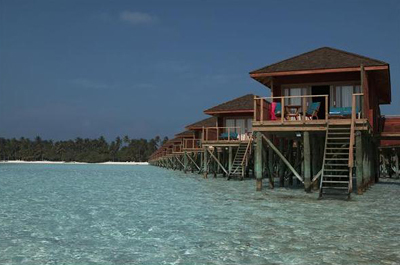 The 27 Water Villas (right) can be found right at the water’s edge. Features include a private sundeck with a spectacular view of the lagoon, stairs into the sea, and a semi-open air bathroom. The 77 Jacuzzi Water Villas (left) are situated over the water and feature a spacious bathroom with double sinks, a Jacuzzi for two, a private sundeck and stairs into the sea. The 2 secluded Honeymoon Suites(right) are a short boat ride from shore. These over-the-water suites feature the same facilities as the Jacuzzi Water Villas, plus a living room/dining room area, a stocked kitchenette for breakfast, a bathroom with bath and bidet, your private “lagoon” pool and a room service menu for dining on your private sundeck/terrace. 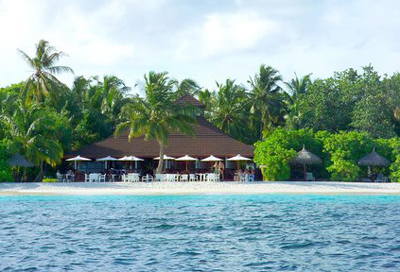 Velidhu Island is located 90 minutes by speedboat or 20 minutes by seaplane from Malé International Airport. Velidhu is known as “The Island of Magic”, and for good reason. Once you step foot on the island, the spectacular blues and greens will renew your spirit and soothe your soul. 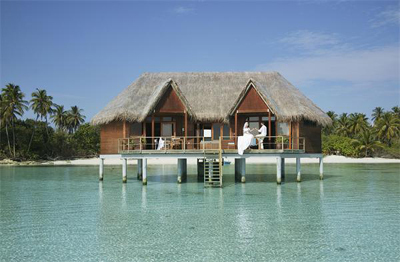 The resort offers 80 Beach Bungalows and 20 Water Bungalows, all designed to pamper and please. 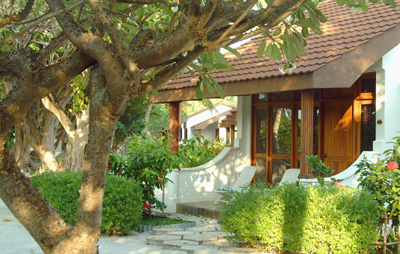 The 80 Beach Bungalows (left) open out to the garden area and feature either a king or queen size bed, air-conditioning, ceiling fan and mini bar. Palm lined footpaths lead you to the beach. The 20 Water Bungalows (right) are situated over the water and feature gorgeous views, either a king or queen size bed, a/c, ceiling fan, mini bar, IDD telephone, satellite TV and sitting area with glass floor panel for lagoon viewing. 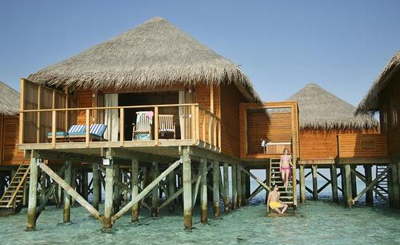 Four of these water villas have private Jacuzzis. This is a one-of-a-kind dining experience…sip champagne while gazing at coral reefs and marine life from 15 feet below sea level. 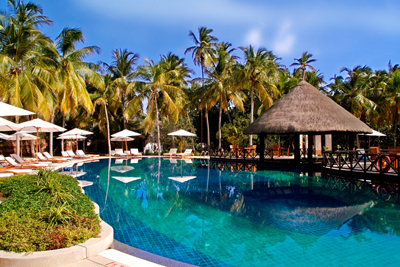 Menu features delicious Maldivian-Western fusion food. 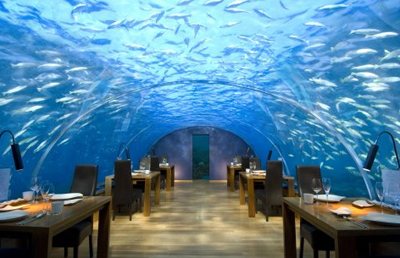 Located at the Conrad Maldives Rangali Island. Open daily from 12:30 pm to 11:00 pm. Reservations highly recommended. 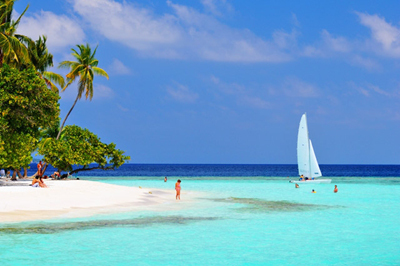 The Maldives is made up of 1,190 coral islands that are located southwest of Sri Lanka, on the equator. 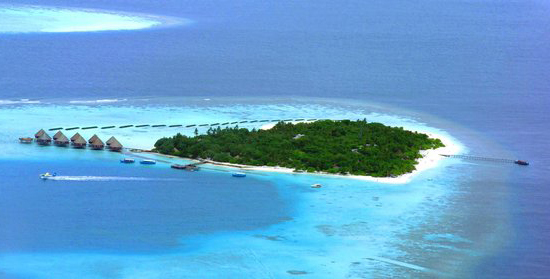 The coral islands form an archipelago of 26 major atolls. How long are the flights to the Maldives? If connecting in Dubai, your flight from LAX to Dubai will take about 16 hours (13 hours from JFK). 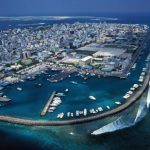 Your flight from Dubai to Malé will take about 4 hours. What airlines fly to the Maldives? Emirates, Qatar Airways, Sri Lankan Airlines and Indian Airlines regularly service Malé International Airport. Your connecting flights may be serviced by American Airlines, United Airlines, Virgin Atlantic, US Airways, Continental or Singapore Airlines. You’ll likely be on a Boeing 777 from LAX to Dubai, as well as from Dubai to Malé. The flight from JFK to Dubai is also aboard a Boeing 777. The 777’s have a 3-4-3 configuration. 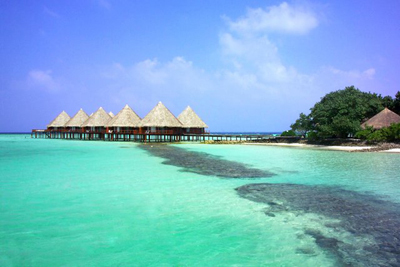 The Maldives is 13 hours ahead of Pacific Standard Time and 10 hours ahead of Eastern Standard Time. The official currency of the Maldives is the Maldivian rufiyaa. 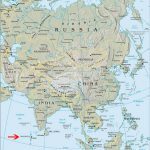 One rufiyaa is divided into 100 laari. You will encounter banknotes in denominations of 5, 10, 20, 50, 100 and 500 rufiyaa and coins in denominations of 1 laari, 2 laari, 5 laari, 10 laari, 25 laari, 50 laari, 1 rufiyaa and 2 rufiyaa. One US dollar is equivalent to about 12.80 Rf. Dhivehi is the official language of the Maldives. It shares similarities with languages from Sri Lanka, South East Asia and North India, and contains many Arabic, Hindi and English words. English is the medium of teaching in the Maldives, and is therefore widely understood, written and spoken. 230 Volts/60 Hertz. It is advised that you carry your own converter/adapter. 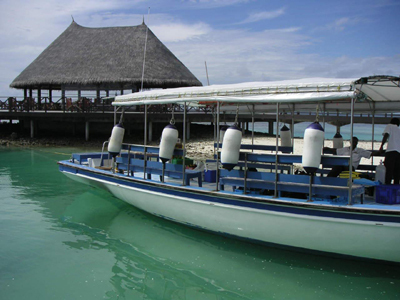 Most dive sites are within a 45 minute boat from your resort. Full day excursions to long range dive sites are also regularly scheduled. A typical dive day consists of single-tank morning and afternoon dives, although early morning two-tank trips, sunset two-tank trips, full day two-tank trips and night dives are also offered.